The hydrotrope literature is very confusing and it sometimes include microemulsions as examples of hydrotropy. This is most unhelpful. Have a quick read to see why, and to see which resources can really help. For those who prefer to use the term "hydrotrope" to mean nanodroplets of oil-in-water emulsions with a surfactant fully surrounding the drop then the standard way to talk about them is as microemulsions. It is a sad artefact of history that these nano-sized drops are called microemulsions and the more recent term "nanoemulsions" is reserved for classical emulsions with very small drops. The key difference between a microemulsion (with its nano-sized drops) and a classical emulsion (even those with nano-sized drops) is that microemulsions are thermodynamically stable and can, in principle, be formed with the simplest shake of the ingredients, whilst classical emulsions are only kinetically stable as there is not a whole shell of surfactant surrounding each drop, and they need lots of dispersion energy to create them. There is a whole, predictive science of microemulsions based on HLD-NAC theory and this is fully described in Practical Surfactants so this aspect of hydrotropy is not discussed further here, other than to say that it is much easier to understand microemulsions via HLD-NAC than via the ad-hoc methods commonly found in discussions of microemulsion hydrotropes. Of course there are other ways to look at microemulsions such as via packing parameters (but not the over-simplified CPP) or "surfactant-free" microemulsions. But for all its many faults, HLD-NAC is about the only tool that non-experts can use to help navigate through the complex world of mixed surfactants and mixed oils. If there are superior approaches that can be made into handy apps for non-experts to use then I would be delighted to use them myself. A crucial part of any microemulsion theory involves the curvature of the interface. If the curvature is high then the drop is small and the solubilisation is low; a small curvature implies a large radius, large drops and large solublilisation. When curvature is 0 one has a Type III/IV emulsion where the oil and water phases intermingle, and interfacial tension is, zero. A paper from the Kunz group in Regensburg1 shows that curvature, HLD (with some nuances necessary for NAC) and PP, packing parameter, are each a different way of looking at the same phenomenon. Packing parameter is different from the well-known CPP (Critical Packing Parameter) which is assumed to be a constant for any given surfactant. 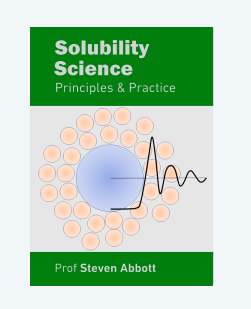 This has given the impression that some surfactants with a CPP<1 can only give o/w emulsions and those with CPP>1 can only give w/o emulsions, whereas any surfactant can be made (given the right oil, salinity and temperature) to give o/w or w/o. So PP is a variable that depends on formulation conditions. The PP is brought to life by the CIT (Constant Interface Thickness) paper from Tchakalova's group at Firmenich2. The CIT app uses their approach to think through what is happening with different species in all relevant phases. In practice, the measurements required to generate the necessary data require too much effort for most practical formulators and in a later paper3 Tchakalova's team used HLD theory for analysis of a large number of fragrance/surfactant interactions. But because HLD, curvature and PP are inter-related one can use one approach experimentally to gain insights into what is going on fundamentally.